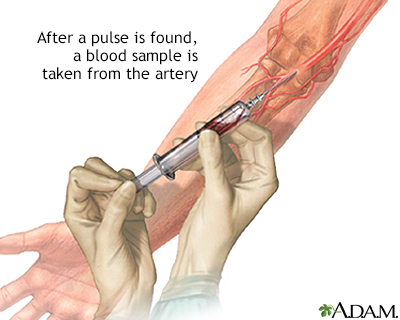 The pulse of an artery determines the location of an arterial stick. The primary reason for taking blood from an artery rather than a vein is to measure blood gases. Because arterial blood is oxygenated blood flowing directly from the heart, analysis of arterial blood can determine the chemistry of the blood before it is used by the tissues.